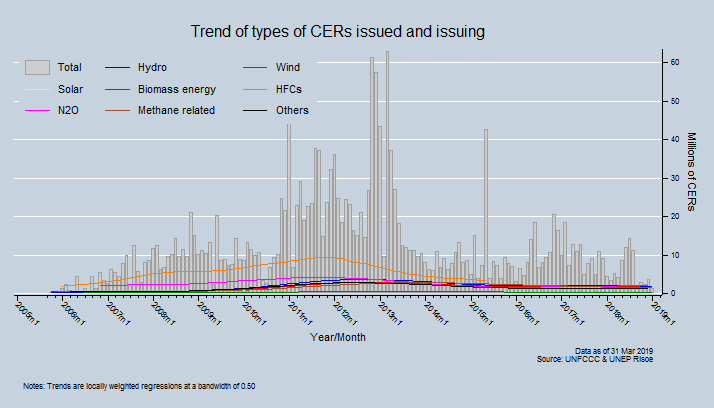 ♥ CERs issued include tCERs and lCERs. 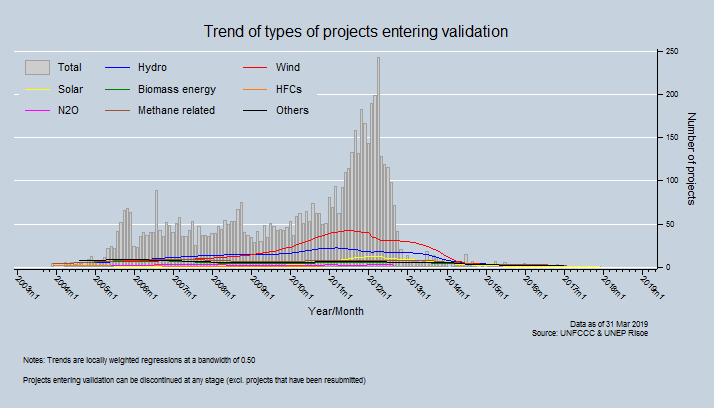 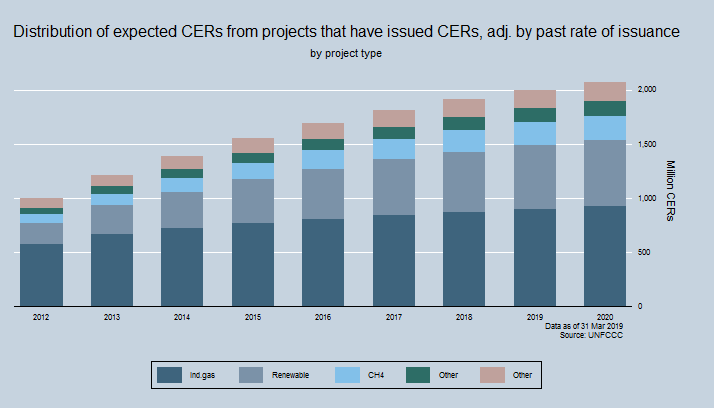 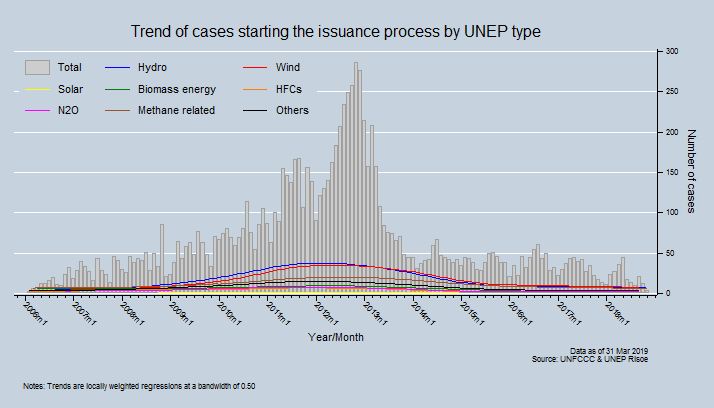 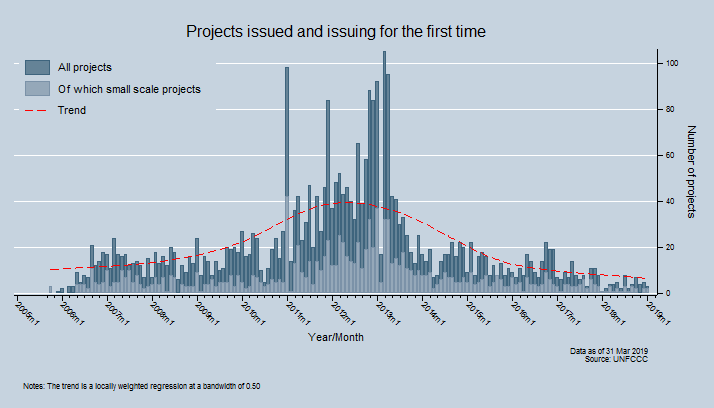 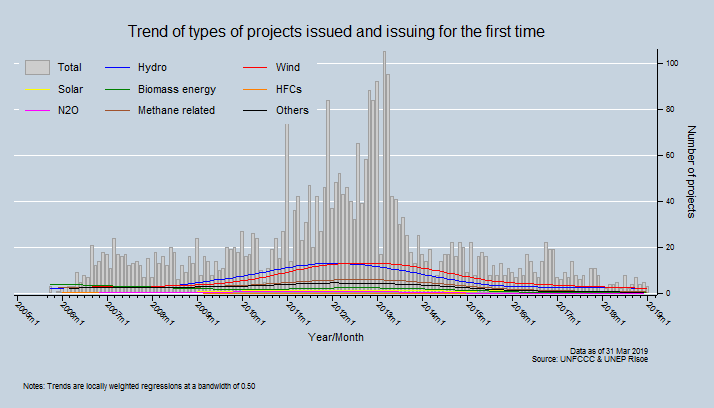 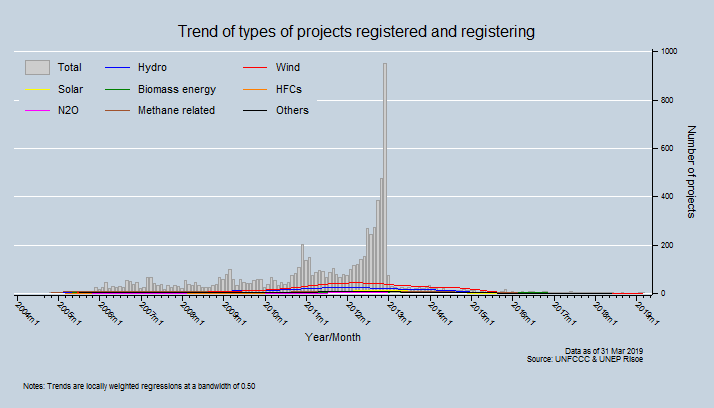 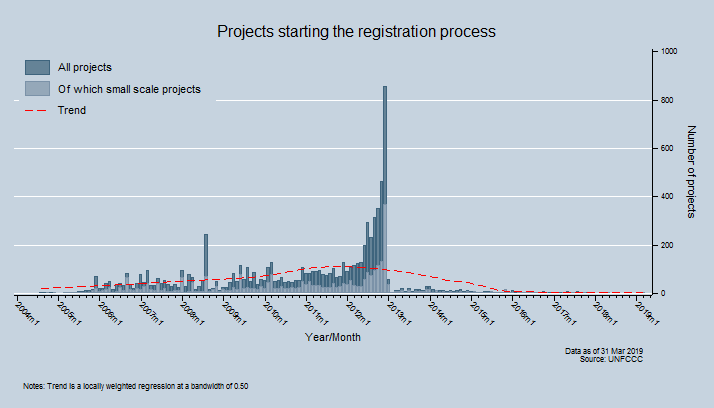 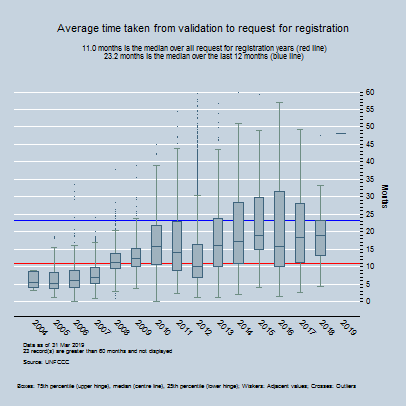 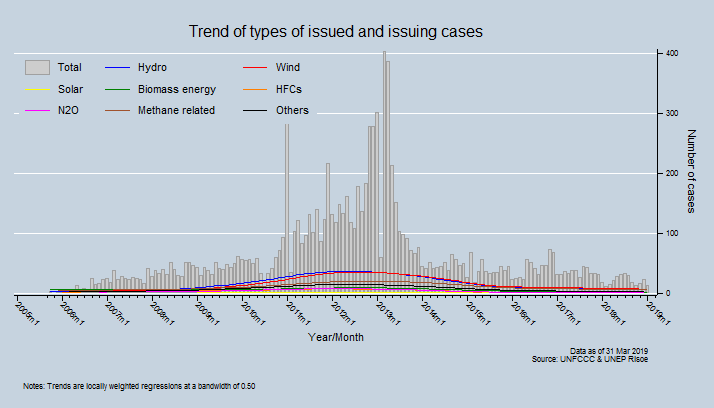 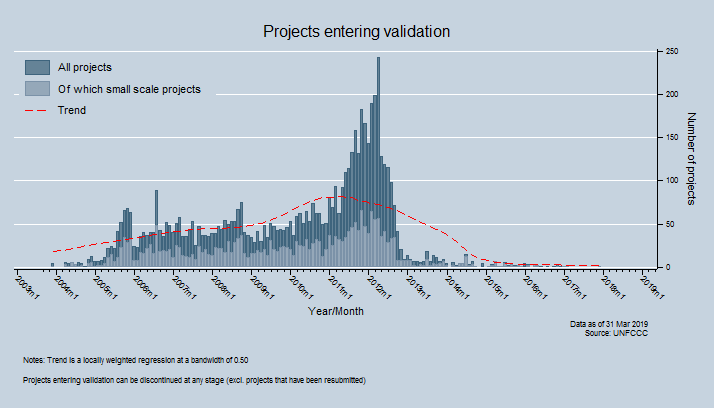 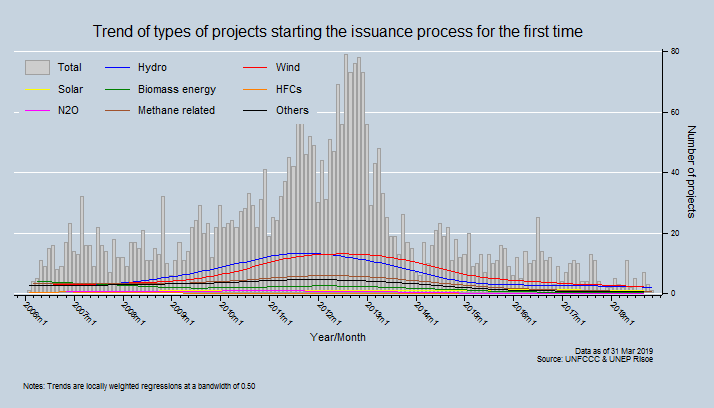 ♦ The potential supply of CERs excludes CERs from projects undergoing validation, rejected or withdrawn and is based on average annual CERs such that all activities simultaneously deliver their expected annual average emission reductions equally across all years of all their respective crediting periods. 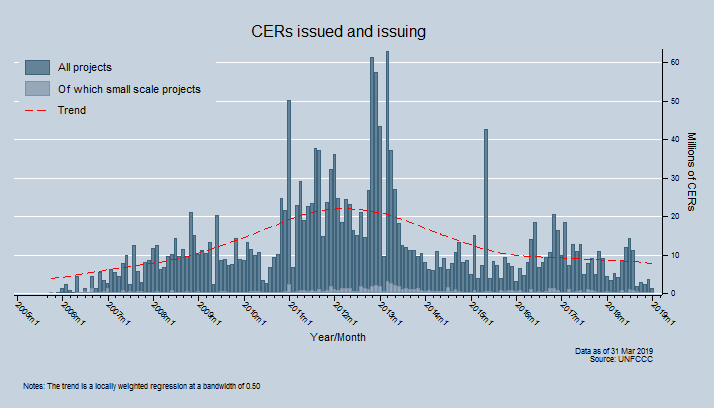 Only CERs from projects for which the renewal of the crediting period has been approved are included. 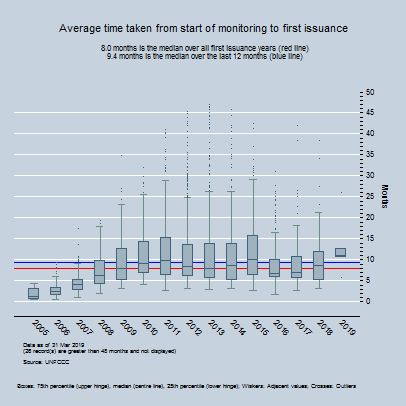 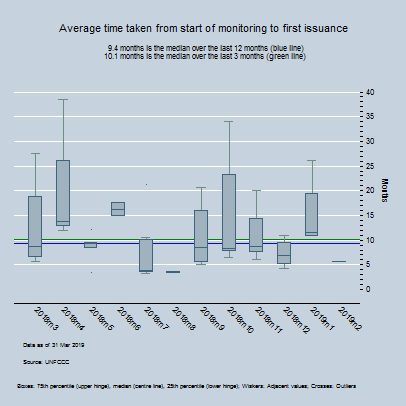 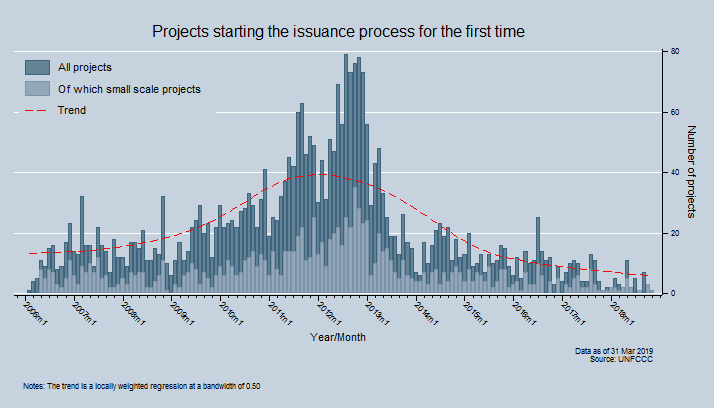 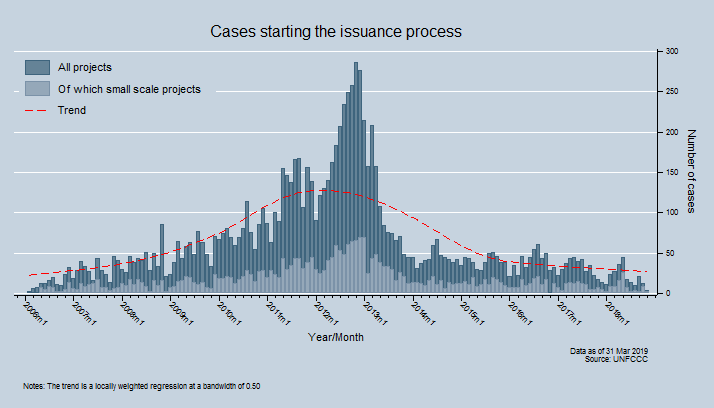 ♠ The past rate of issuance is the ratio of CERs issued over the expected CERs to be issued up to the date of the last issuance, capped to 1. 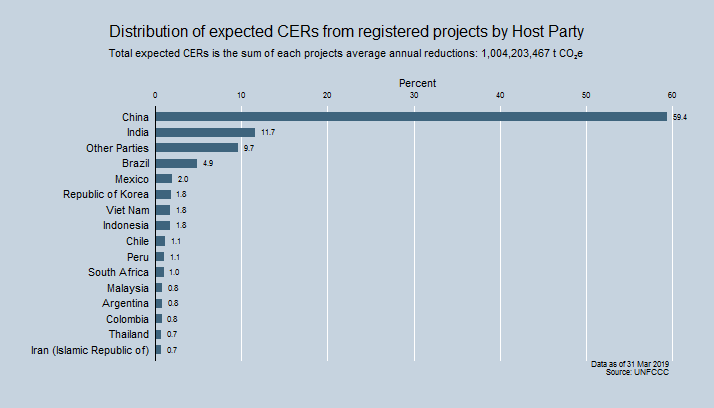 ♣ CERs to the end of 1st. 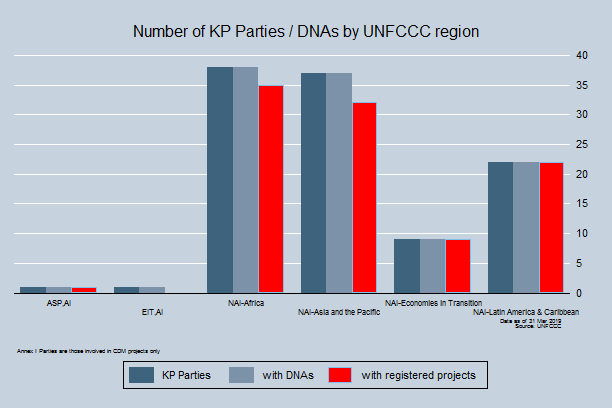 KP commitment period (31 Dec. 2012) include CERs potentially issued after 31 December 2012 for emission reductions that occurred prior to 31 December 2012. 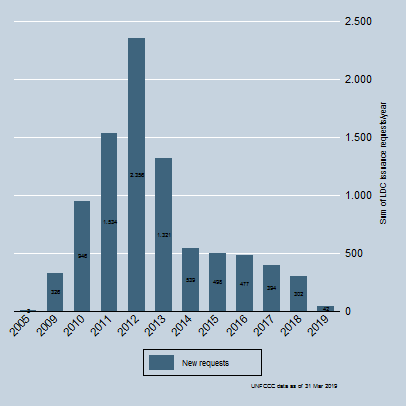 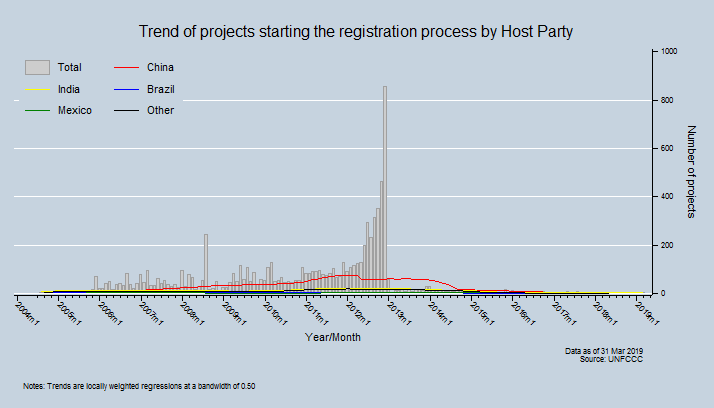 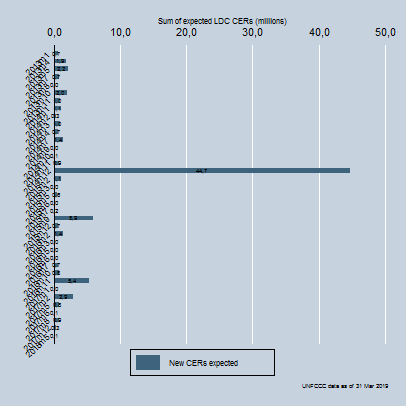 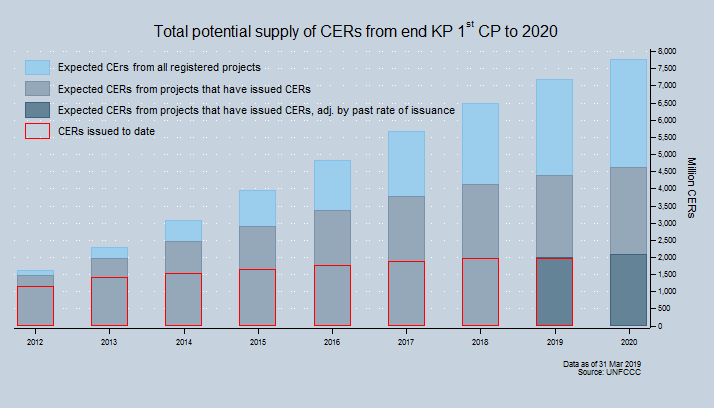 Total potential supply of CERs from the end of the 1st Kyoto Protocol commitment period (31 Dec. 2012) to 2020. 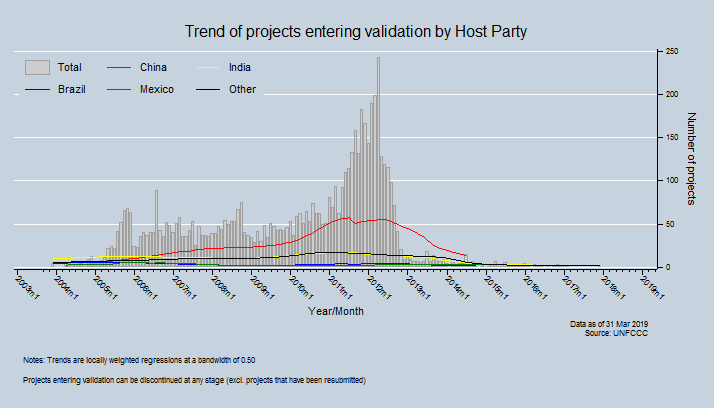 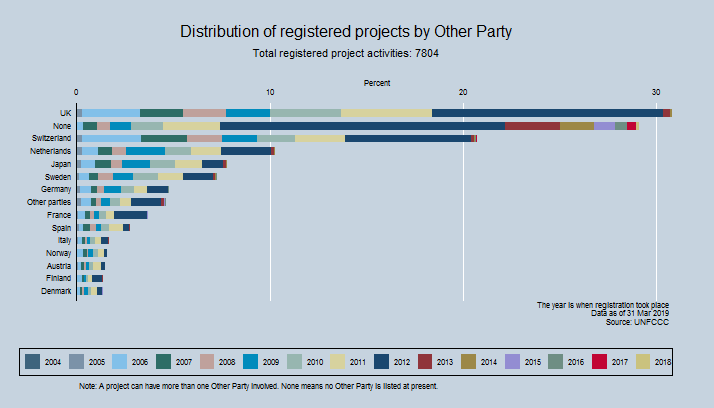 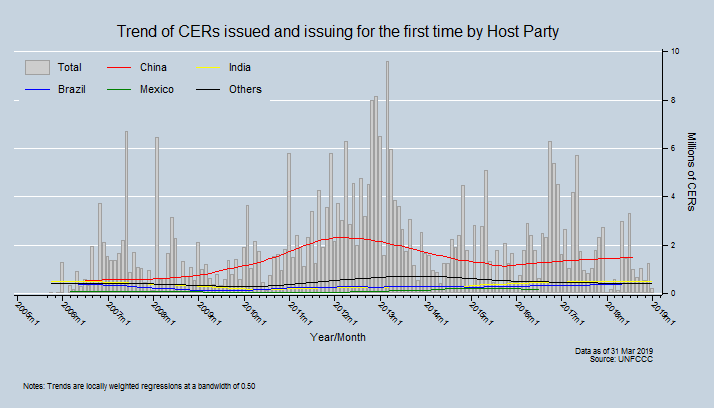 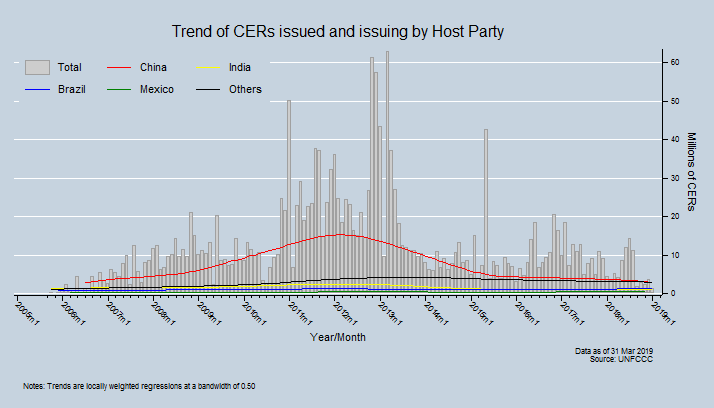 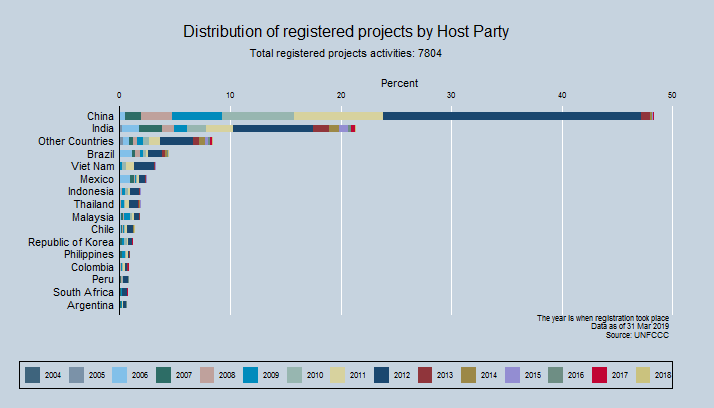 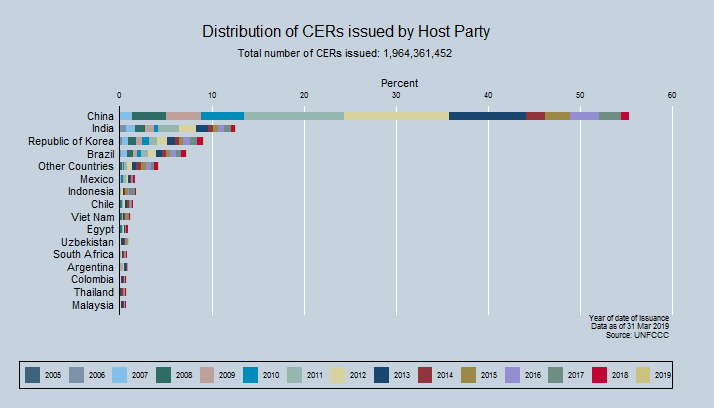 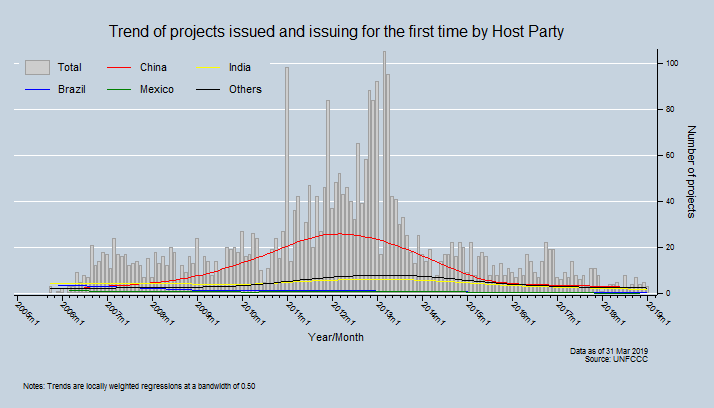 Total potential supply of CERs by host party from the end of the 1st Kyoto Protocol commitment period (31 Dec. 2012) to 2020. 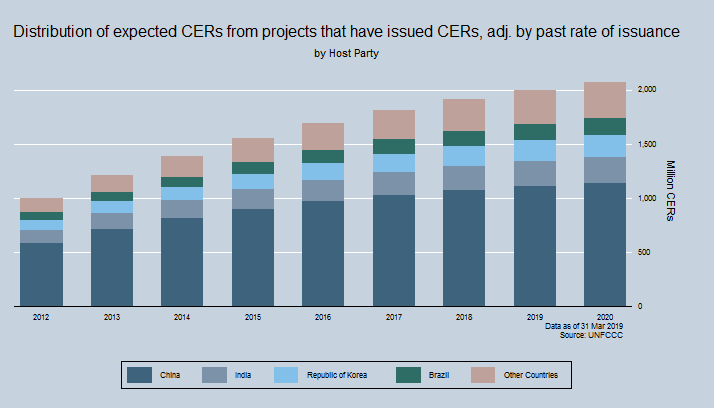 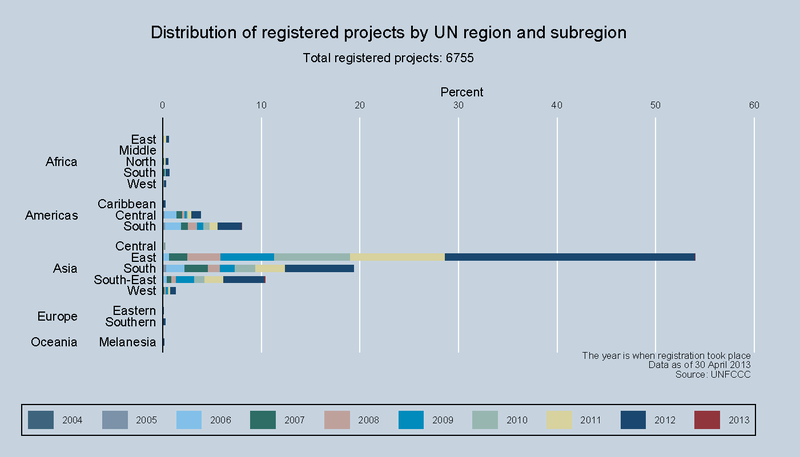 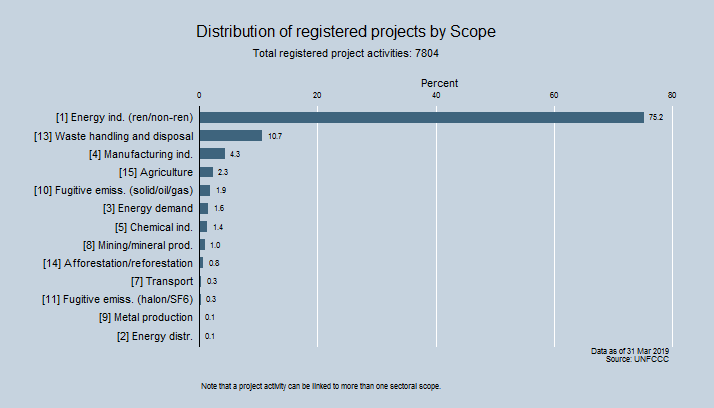 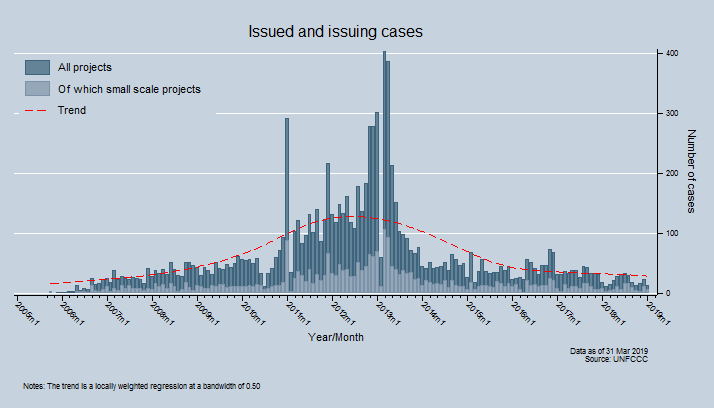 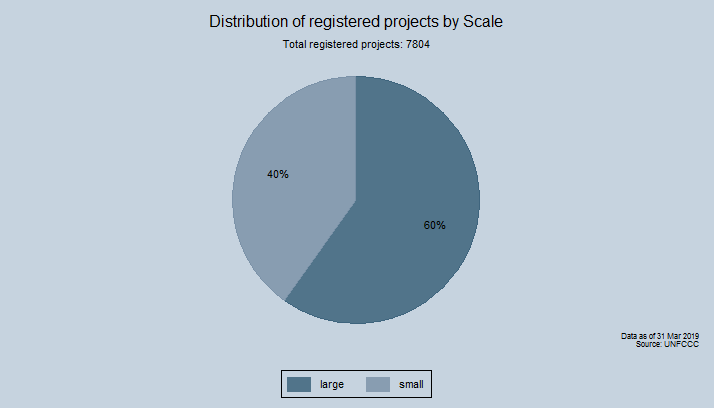 Total potential supply of CERs by project type from the end of the 1st Kyoto Protocol commitment period (31 Dec. 2012) to 2020. 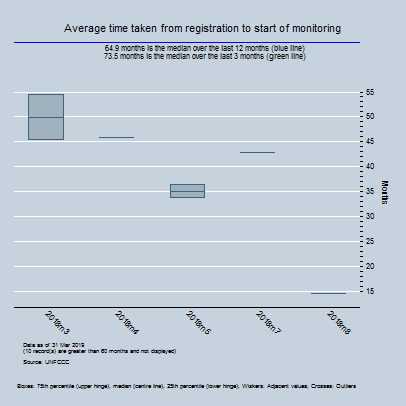 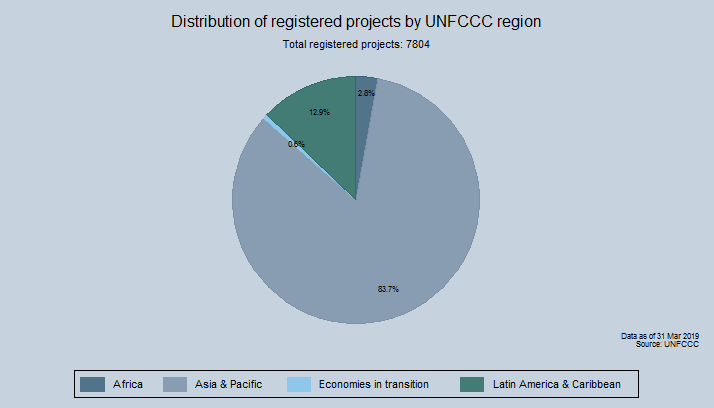 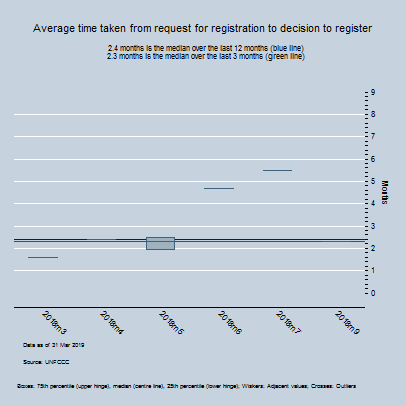 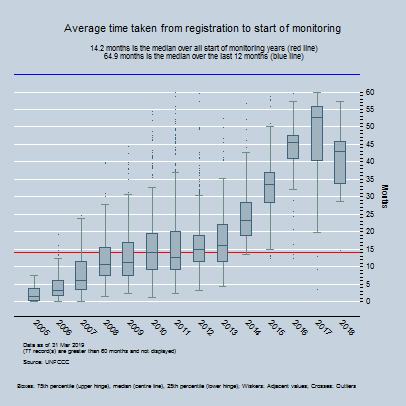 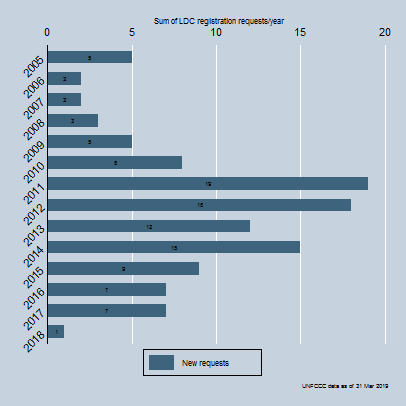 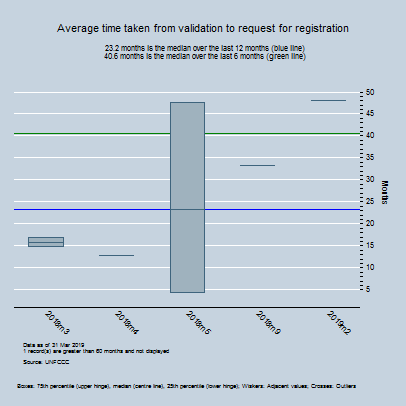 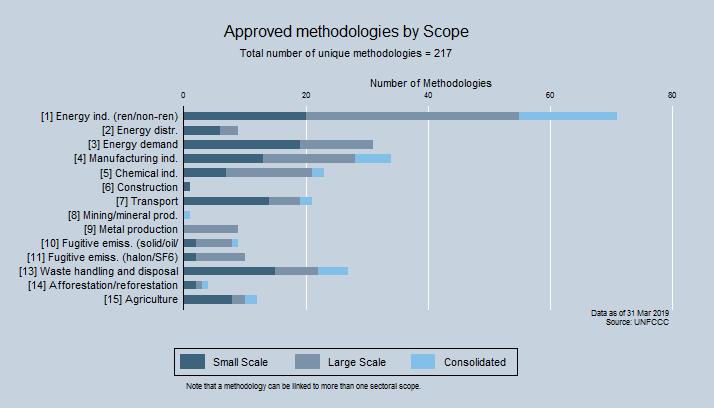 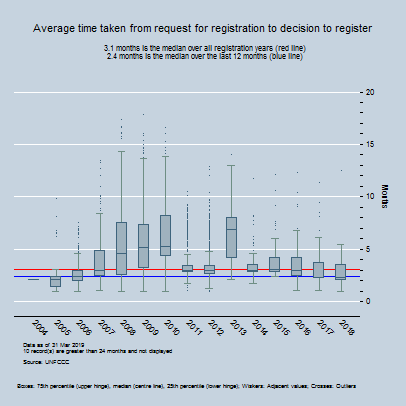 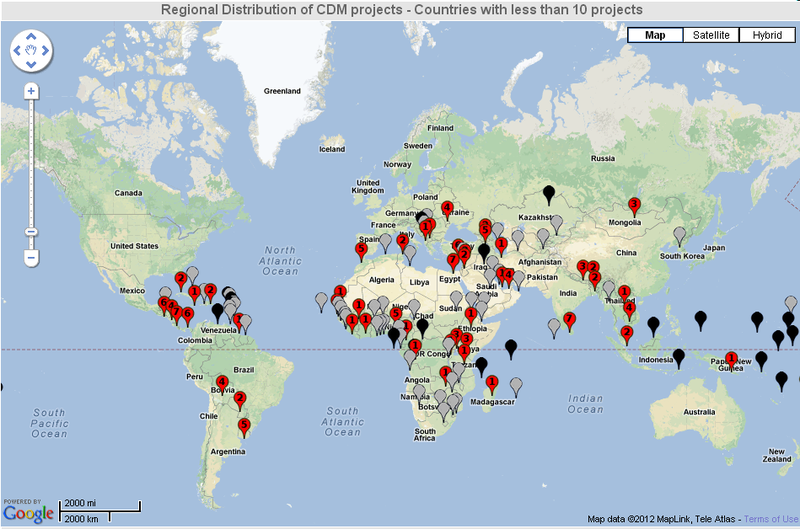 The UNFCCC secretariat collates time bound data on various aspects of the CDM, subject to availability. 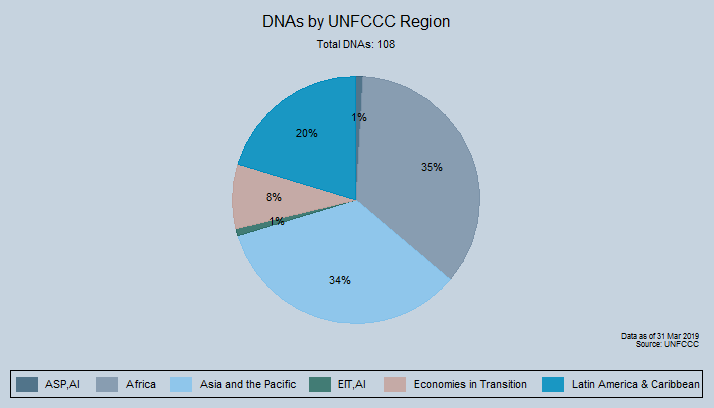 Universities and research institutes that need access to additional data for research purposes can send an email request to cdm-info@unfccc.int clearly stating the intended use of the data in a short research brief.